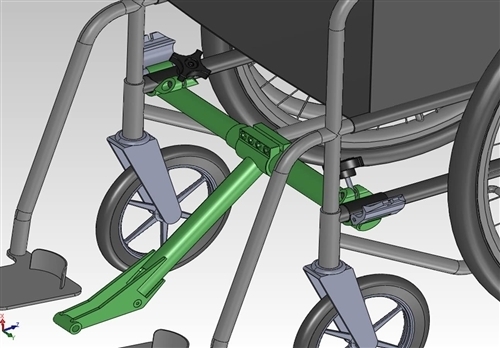 The FreeWheel Folding Wheelchair Attachment brings the amazing independence and freedom of the FreeWheel, to folding wheelchair users. 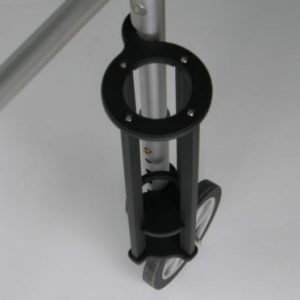 The folding wheelchair adaptor uses horizontal tubing to securely clamp onto a folding wheelchair. 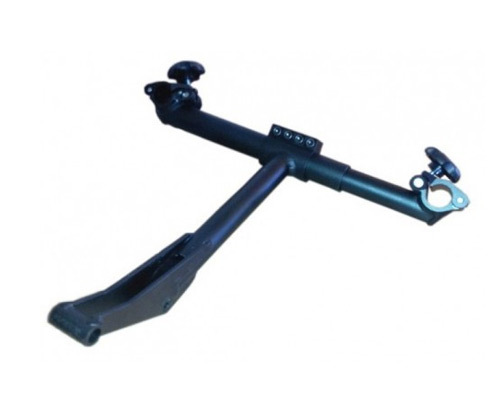 The adaptor adds both strength and rigidity to support the use of the FreeWheel. 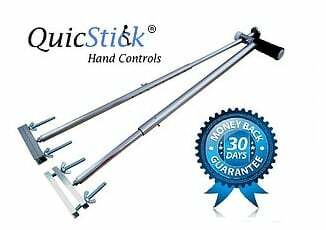 Once it is set up, it can be taken off or put back on in a matter of seconds, but it does not need to be removed to fold the chair. 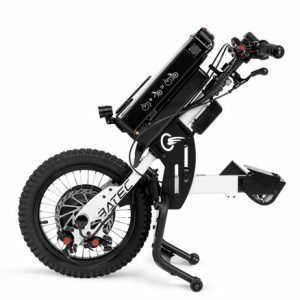 After the adaptor is placed on your folding chair, it quickly and easily clicks into the FreeWheel, gently lifting your front casters off the ground to transform your standard folding wheelchair into a 3-wheel, all-terrain wheelchair that can push you safely over almost any obstacle. 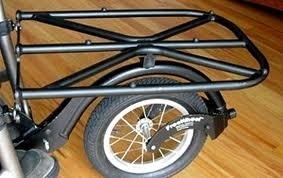 Need 2.5″ of round, horizontal side tubing to attach Folding Wheelchair Adaptor. May be angled, as long as the sides are parallel.